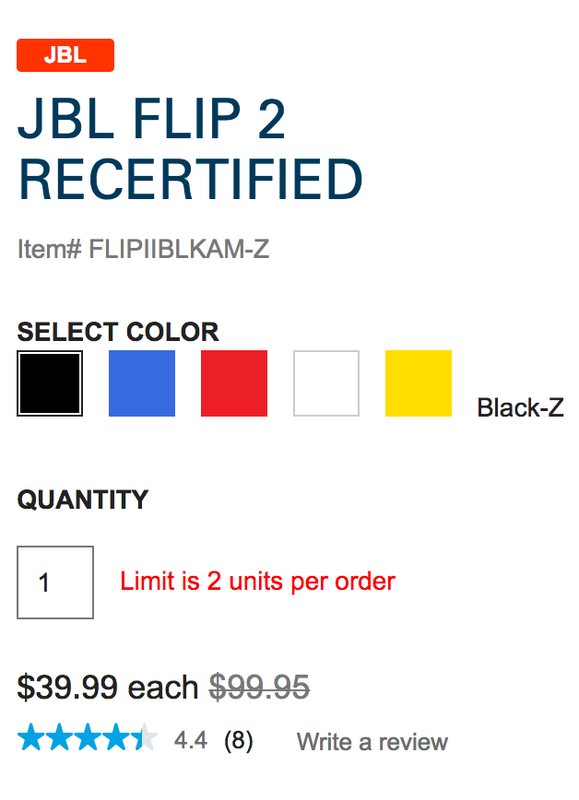 Harman Kardon is discounting a pair of certified refurb Bluetooth speakers today from JBL. A full standard warranty is available on both models, alongside free shipping. The award-winning Flip 2 wireless portable speaker from JBL brings rich sound into your portable lifestyle for all your wireless phones and tablets. Engineered with JBL aptitude and attitude, the Flip 2 uses two drivers and a built-in bass port for powerful bass that adds dynamic depth to your listening experience along with crisp vocals all in a speaker that fits in your hand. The new JBL Charge 2, a portable stereo speaker offering best-in-class sound with dual drivers and twin passive radiators that deliver deep, accurate bass so powerful that you can actually see them trembling – even as their sound hits your ears. Featuring a 6000mAh Li-ion battery that can play up to 12 hours of music even as it recharges your smartphone or tablet, the Charge 2 is built to outlast all-night parties – as well as charge other portable devices by way of its USB port. It’s an iconic piece of portable audio that was born to be the life of the party anywhere you put it, whether in your living room or in the great outdoors.